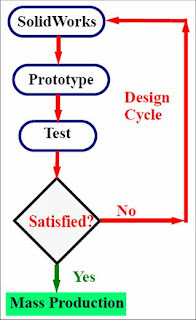 How to scale the model for 1:1 in Solidworks Screen? Sometimes it is difficult to gauge scale on your CAD model. 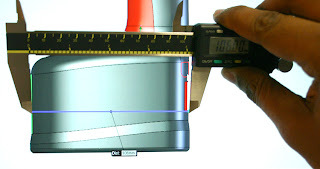 Small objects can seem huge because you have zoomed in so close in order to model the feature.we have found the following technique particularly helpful in modelling human scale products, or more specifically - objects and features within the envelope of your monitor screen. Even large products tend to have smaller human interfaces so this tip could be useful to a lot of people.Go to one of the orthographic views. First find a reference length. In this case the length of the battery is 106mm. 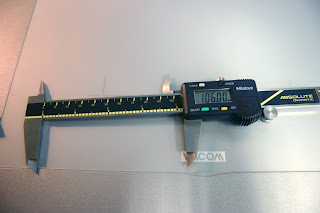 Then I set my callipers to the reference length (106mm). Zoom the view to match the length on your calliper. Already we can see that the battery is a lot bigger than we had expected it to be. After matching the length, do not move or zoom your view. Create a new view and name it 1:1 scale. 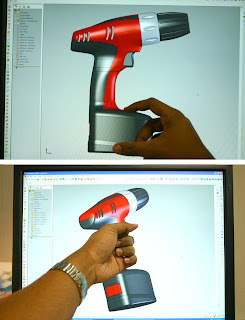 As long as you dont zoom in, you should be examining a 1:1 scale model on your monitor. Just rotate the viewport/camera to observe from all angles. At the very least this method can save you a few printouts to confirm scale. 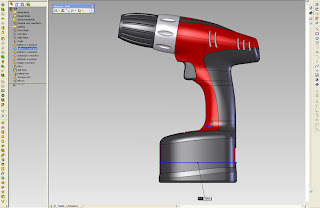 we use it to quickly gauge the ergonomics of a CAD model before sending to rapid prototype. 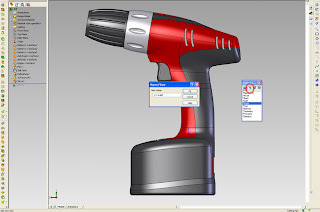 SolidWorks 2008 Office Premium has over 250 customer driven enhancements that make transitioning to 3D easier and faster than ever. 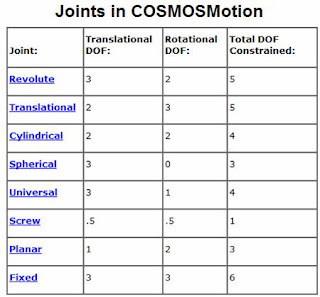 There are two ways to use the Hole Wizard in SolidWorks. You can either select the plane or face to create the hole on before or after you select the Hole Wizard command. (Click the Hole Wizard icon from the "Features" toolbar, or pull down the “Insert” menu and pick Features – Hole – Wizard). What's the difference? A 2D sketch is created when you pre-select a planar face for the Hole Wizard. A 3D sketch is created if you first click Hole Wizard and then select a face. 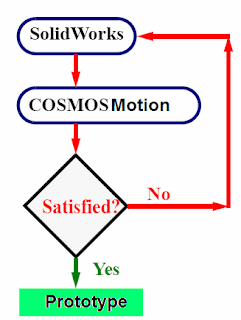 To help understand what this really means, take a look at the simple L Bracket below. For the 1/4" diameter hole on the left, the left side of the part was selected as the planar face to create the hole on (pre-selected), and then the Hole Wizard command was picked. For the 1/4" diameter hole on the right, the Hole Wizard command was picked and then hole location was defined (post-selected). Both holes were dimensioned .50 from the side of the part and 1.00 from the bottom of the part. Note the difference in the screen captures below. 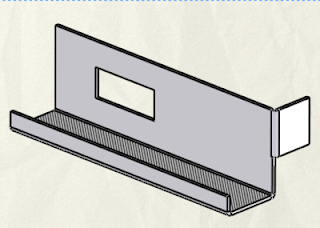 For the L Bracket, a 2D sketch is desired to get the distance from the bottom of the part to the center of the hole. 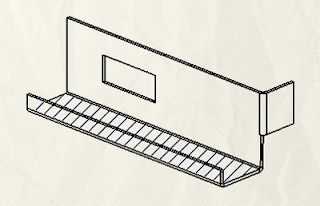 The 3D sketch actually dimensioned from the edge line of the part to the center of the hole, causing an inaccurate dimension (the direct vertical distance is actually .9798). If you would like to use a 2D sketch, which would dimension to the projection of the edge instead of the actual edge, you just need to select a face before selecting the Hole Wizard command.